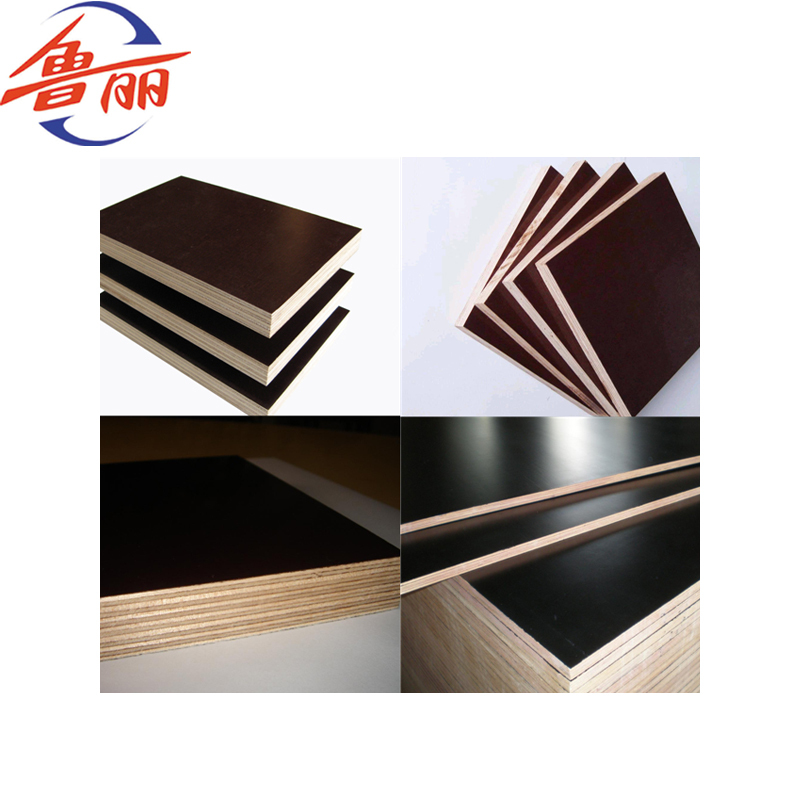 Building and construction use material Film Faced Plywood with black or brown film. 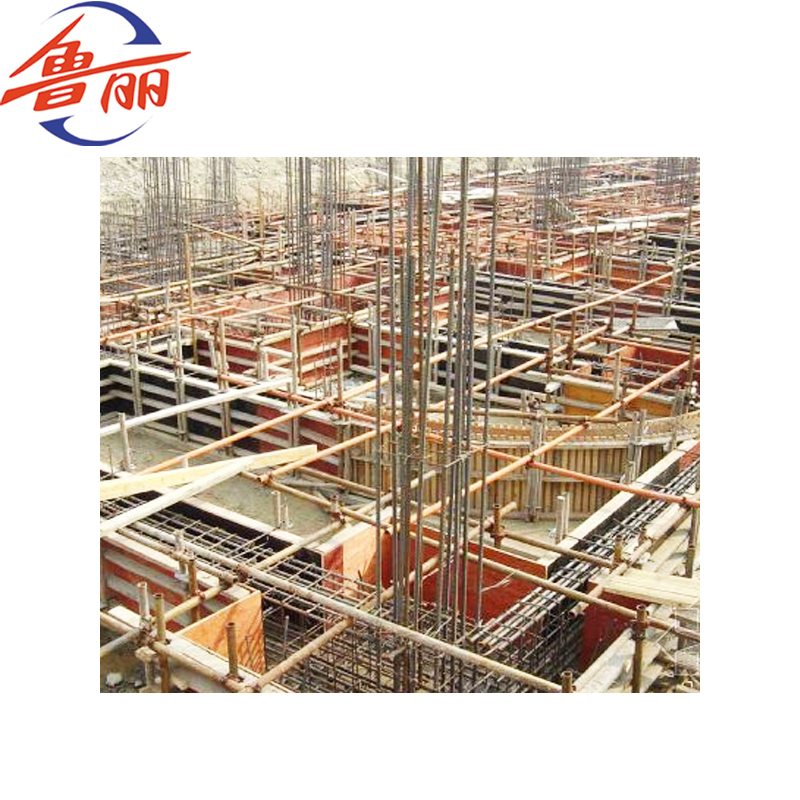 Good quality to reduce expansion and shrinkage, providing improved dimensional stability. film faced plywood is lightweight, resistant to corrosion attack and water, easily combined with other materials and easy to clean and cut. Treating the film faced Plywood's edges with waterproof paint makes it highly water-and wear-resistant. Due to its durability and easily handled surface it can be used in open environment in construction and building e.g. 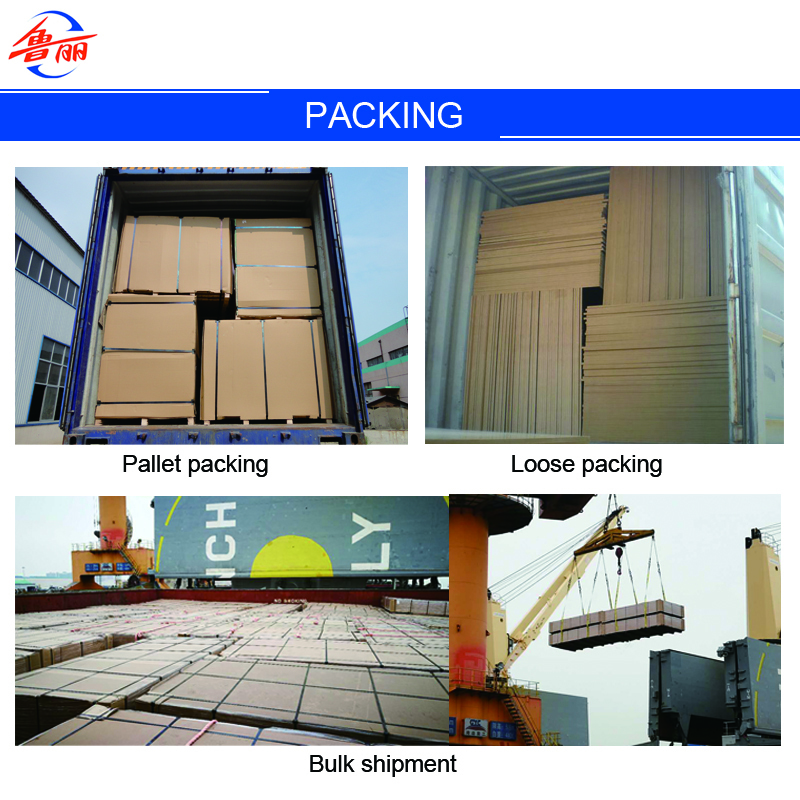 warehouses, railway wagons, floors and sidewalls of trucks etc. And our products are exported to most countries all over the world, America, Germany,etc. 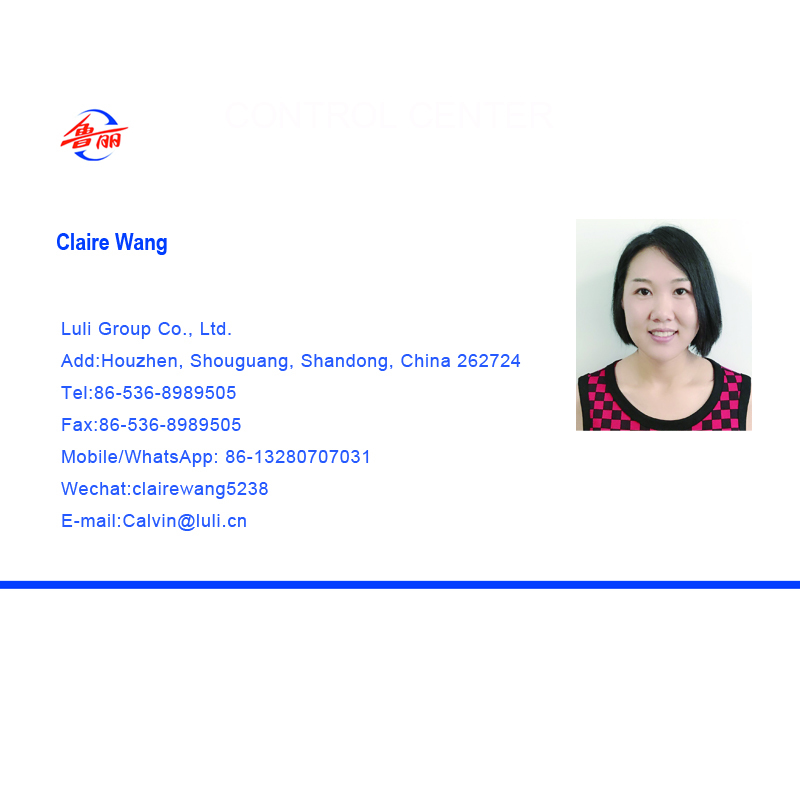 Luli Group warmly welcome all the customers to visit our factory for long term business cooperation. hoarding and fencing, packing, in internal&external design and panelling. The first being birch film faced plywood which is very resistant to water, easy to clean and cut. The second is poplar film faced plywood. This plywood type is also easy to clean and cut and is softer and lighter material than birch film faced plywood. 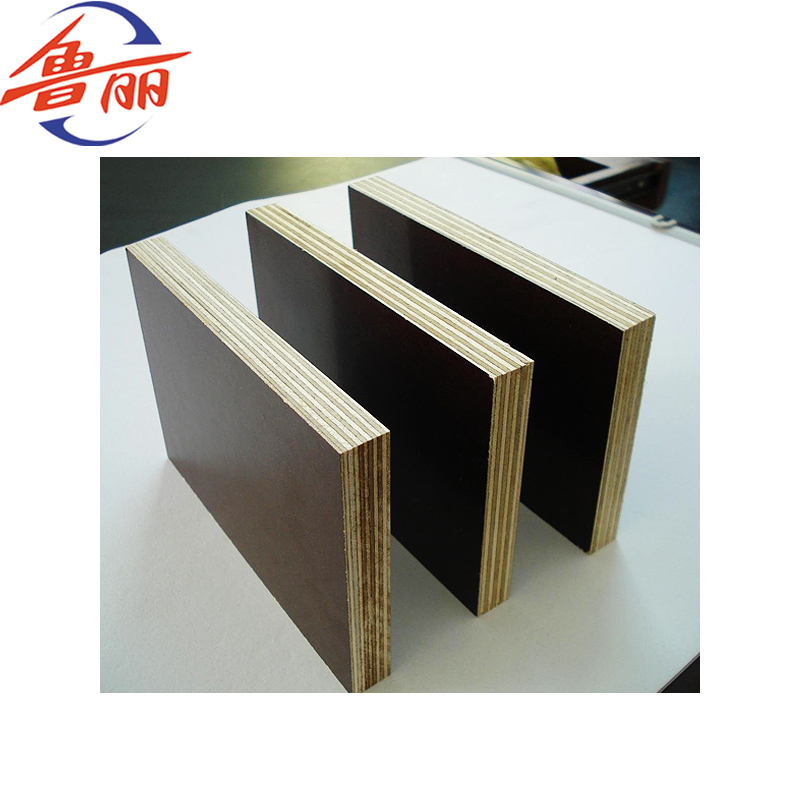 Film faced plywood in Black or brown film, due to its durability film faced plywood is widely used in construction and building. 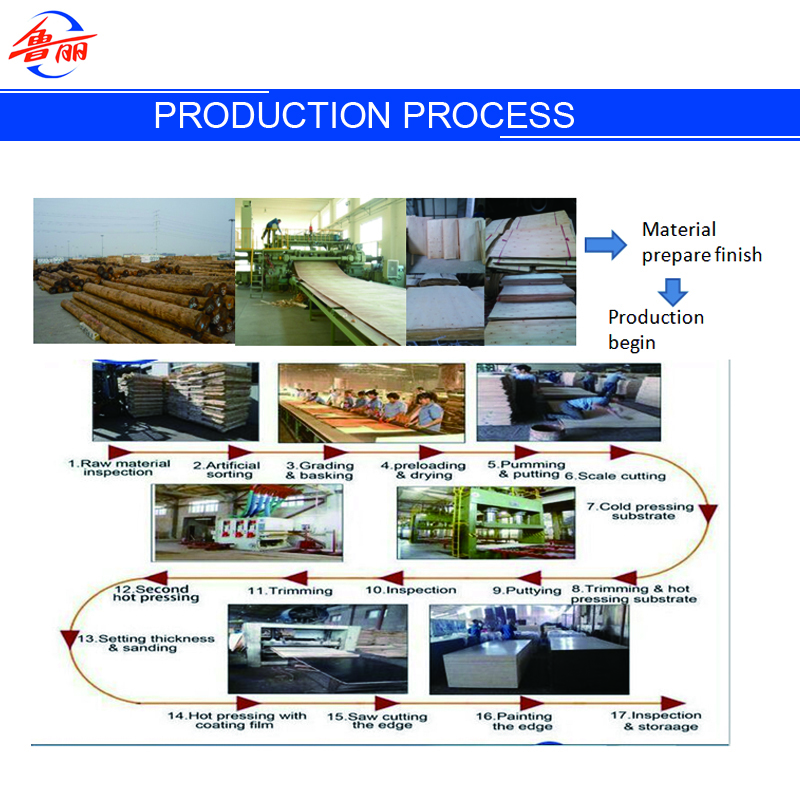 LULI Group, is a professional manufacturer in wood panel products with rich experience. 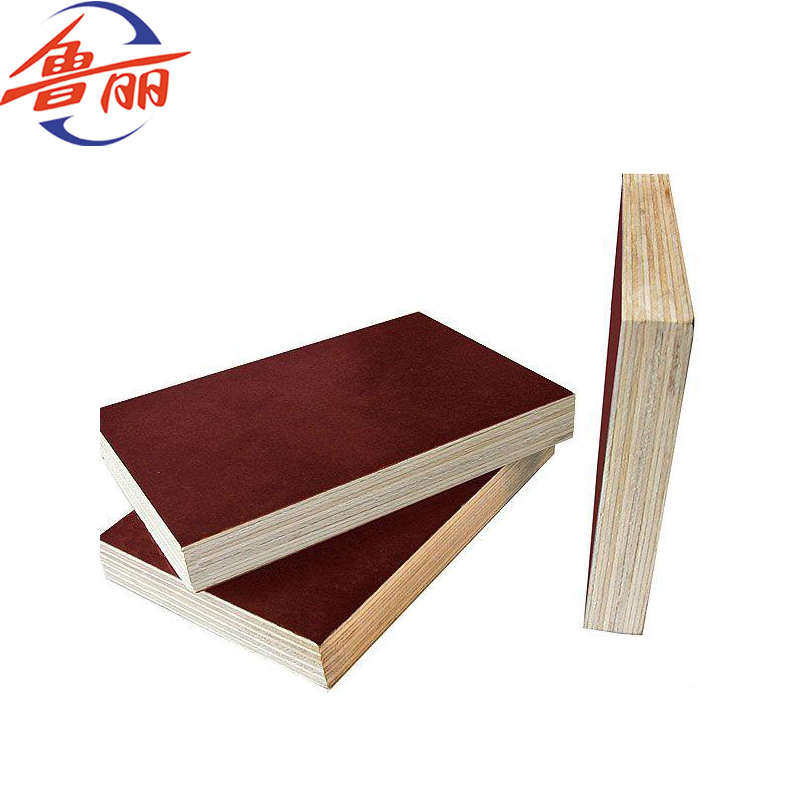 We have our own factory which focuses on the production of good quality Plywood, Film faced plywood, Melamine paper faced board, MDF , OSB , Particle board, Veneer, Blockboard, Door Skin, etc. We are able to supply customers' requirements in panel products in various different qualities, sizes and specifications. Looking for ideal Good Quality Film Faced Plywood Manufacturer & supplier ? We have a wide selection at great prices to help you get creative. All the Black or Brown Film are quality guaranteed. 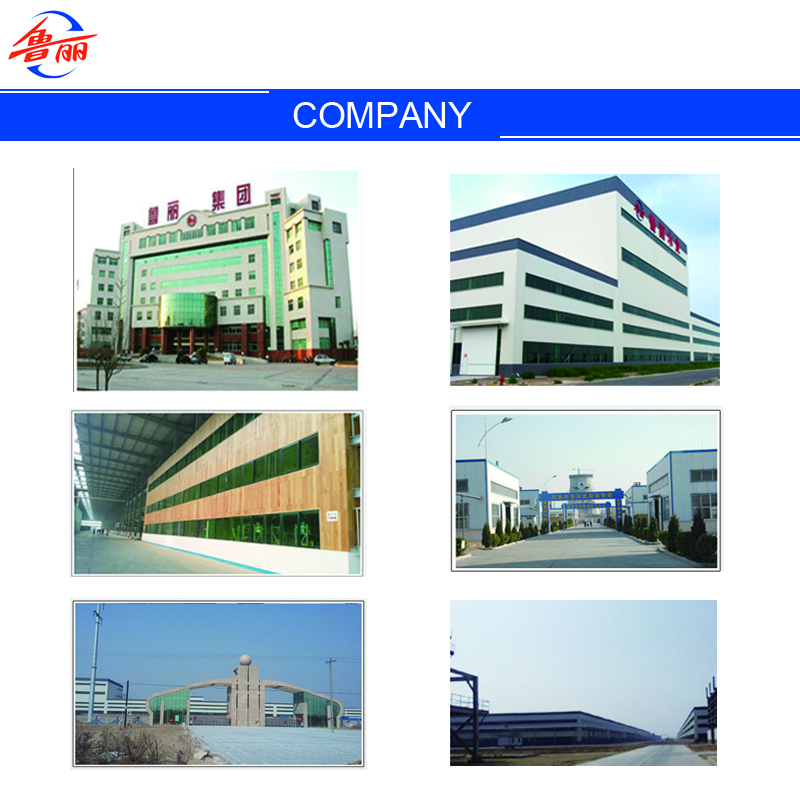 We are China Origin Factory of Building and Construction Use. If you have any question, please feel free to contact us.